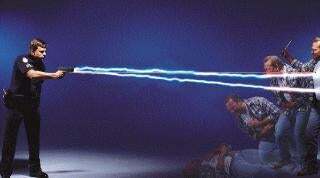 Tasers: More Dangerous Than We Thought? CrunchGear did an investigation into the safety of tasers, and what they discovered is a bit troubling. Despite the fact that Taser International just loves zapping reporters to get themselves on the news, they also sue the pants off of anyone who does studies on the safety of their devices and gets results they don't like. It turns out that getting tased might, surprise surprise, be bad for the ticker. So think twice before sasstalking officer friendly next time you're out causing trouble, OK?